Since the introduction of the original R4 in 2008 it quickly became regarded as one of the finest 'All in One' music systems available. We now have in stock the third generation of the Ruark R1 desktop radio and very nice it is to. This is the latest incarnation of the ever popular Dab radio, and with many upgrades and improvements it is a great gem of modern gadgetry presented in an elegant and stylish cabinet. The first thing you will notice is the display which now uses an OLED screen. This gives much better detail and clarity, also the brightness can be adjusted to suit anyone’s preference. The control panel has also been improved. Using a much nicer version of Ruarks unique rotodial, it now has fewer buttons and is easier to navigate through the options. By giving it a smaller and separate power button you no longer accidentally turn it off while adjusting the volume. The biggest upgrade is the addition of Bluetooth connectivity. This enables us to connect our smartphones, tablets, laptops etc and play our own music. The R1 wil read and display the track information as you listen. Turn the R1 around and on the back you will find a stereo headphone output, an analogue line in and a USB socket. The line in gives us the option to connect an external source and the USB can be used to charge your phone or tablet. On the whole its a great little product, with Dab , Dab+ and FM its a fantastic radio and suitable for any home or office enviroment. Available in three colours, Black , White , or the classic wood finish Walnut. 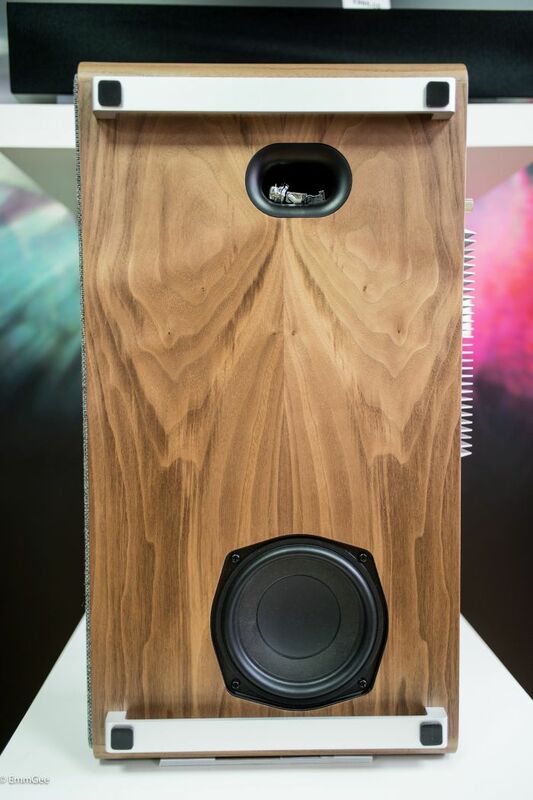 For more information check out the Ruark website http://www.ruarkaudio.com/products/r1-overview.